Masonic Sword | BUDK.com - Knives & Swords At The Lowest Prices! 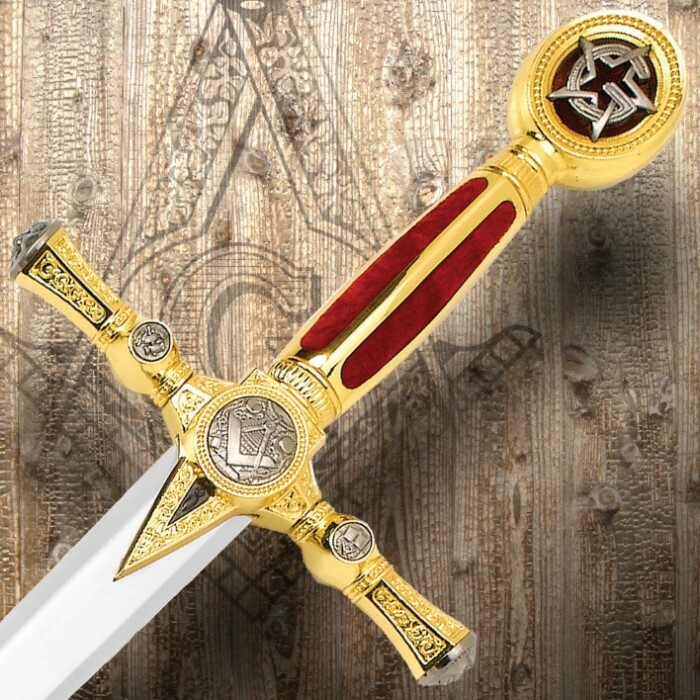 Commemorate your Masonic heritage with this exceptionally well designed Masonic Collectible Sword. This massive sword is an astounding 45-1/4” long, featuring a 36-3/8” high polish stainless steel blade. The cast metal guard and pommel have an elegant brass-plated finish for a unique, one-of-a-kind look and feel. 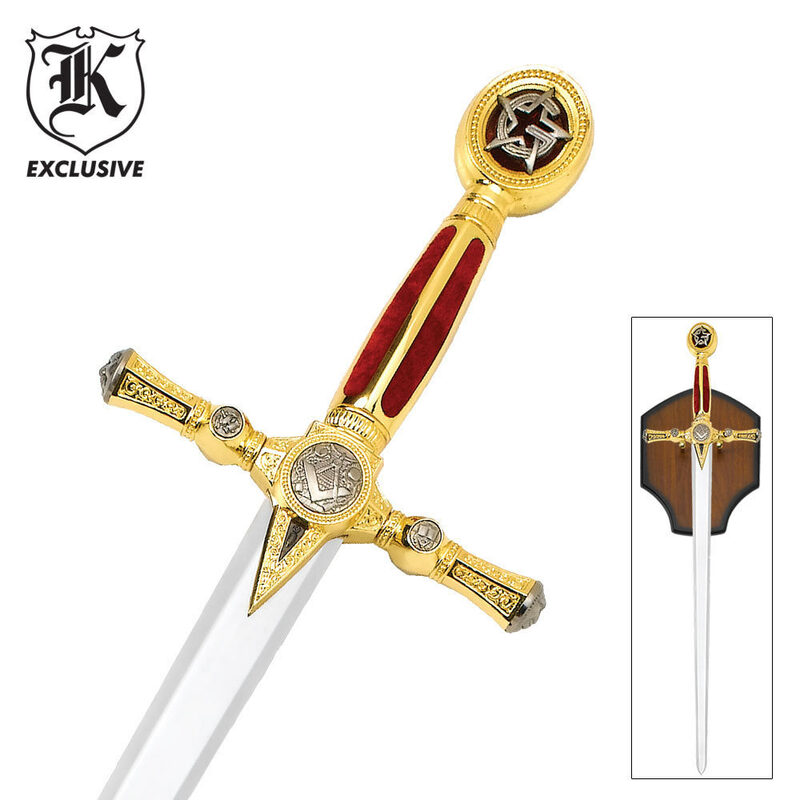 The historical engravings and Masonic accents add elegance and authenticity to this collectible sword. Display it in style with the custom hardwood display plaque.